The ground floor comprises a striking double reception room with magnificent high ceilings, a contemporary fitted each in kitchen, guest cloakroom and a retractable sliding glass roof that leads to a beautiful private rear terrace. The lower ground maintains a prominent ceiling height with a grand master bedroom comprising “his and her” en-suite bathroom and shower room as well as a walk in wardrobe and private courtyard. There are two large second and third bedrooms with en-suite bathrooms and fitted wardrobes as well as impressive hallway leading to the staff kitchen / utility room with separate staff entrance. 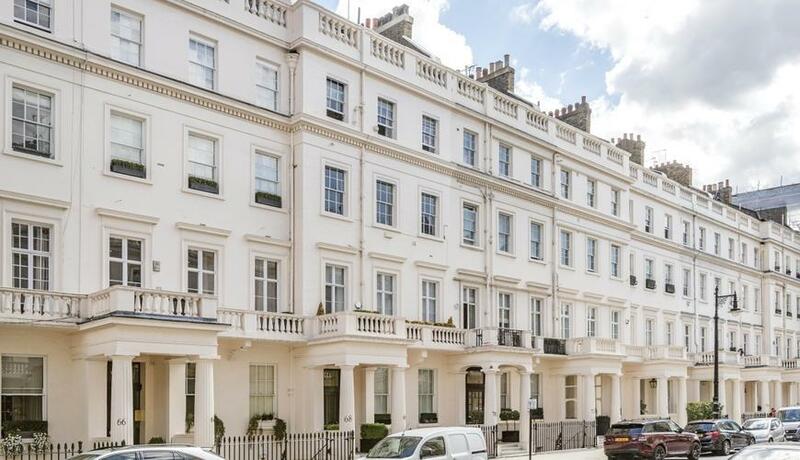 Discover what it's really like to live in Belgravia with information including local amenities, architecture, outdoor space, transport and local schools.